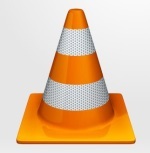 VLC Media Player is a great free open source Media Player. It can play audio and video files of almost any format, even if the files are in a bad condition. MyFlashFetish lets you create playlist and cool widgets for your MySpace, Bebo, Friendster, Windows Live Spaces, Gaia, blogs, websites. Absolutely FREE! MediaMonkey is a FREE media manager that manages your entire music library, syncs audio devices, and provides CD Ripper and Burner.